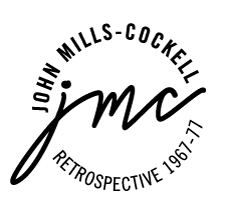 Composer John Mills-Cockell unveils his most intimate work with Kestrel Music’s release of the new compact disc Do You Hear The Rushing River? Creating a luminous body of instrumental music that is seductive, magical and full of emotion, this influential, style-setting, contemporary composer proves that poetry can be written without words. This collection of music, haunting and ethereal, expresses the composer’s passionate search for inner peace in the hum of everyday life. A multi-faceted performer, John has recorded the soundtrack for Stella! Black & White, a dynamic literary performance piece, based on the poetry of Blake Parker Stella! Black & White was performed by a special ten piece ensemble at Vancouver International Writers’ Festival in October of 1995. The artist Michael Hayden developed the unique holographic technique & materials for the packaging concept of Do You Hear The Rushing River?